"One leader one people one empire"
The Polish Empire is a nation led by Linijka Heinrich Kaiser on the continent of Europe. The Polish Empire's government is a Dictatorship with very fascist social policies. Economically, The Polish Empire favors far right wing policies. The official currency of The Polish Empire is the Zloty. At 367 days old, The Polish Empire is an ancient nation. The Polish Empire has a population of 900,412 and a land area of 28,000.00 sq. miles. This gives it a national average population density of 32.16. Pollution in the nation is evident. The citizens' faith in the government is completely depleted with an approval rating of 0%. 04/20 01:47 pm - The Polish Empire had war declared by Pearson Specter Litt for the reason of "Welcome to Orbis.". 04/20 10:48 am - The Polish Empire had war declared by Rebington for the reason of "Me too, thanks". 04/20 07:59 am - The Polish Empire had war declared by Norbanhymb for the reason of "Arrgh!". 04/17 12:38 am - The embargo on The Polish Empire placed by Sherifian Empire of Morocco has ended. 04/12 02:30 am - The Polish Empire had war declared by Unified Republic of States for the reason of "Arrgh!". 04/12 02:20 am - The Polish Empire had war declared by Malacca for the reason of "Hasta la vista, baby!". 04/12 02:04 am - The Polish Empire had war declared by AfGavinstan for the reason of "Inactive - message for peace". 04/04 02:55 am - The Polish Empire had war declared by Great Ukraina for the reason of "DM for negociations". 04/04 01:35 am - The Polish Empire had war declared by Easy for the reason of "We have come to liberate you". 04/04 12:11 am - The Polish Empire had war declared by Nash World for the reason of "Arrgh!". 04/01 05:37 pm - The polish empire was embargoed by Democracy Of Ibiza. 03/28 09:18 pm - Maddog removed and banned Heinrich Kaiser from the alliance Fark. 03/28 12:06 pm - The Polish Empire applied to join the alliance Fark. 03/26 10:37 pm - The Polish Empire had war declared by Andona for the reason of "Bounty baby". 03/26 10:19 pm - The Polish Empire had war declared by Greater Malaya for the reason of "War. War is profit.". 03/26 09:47 pm - The Polish Empire had war declared by Hjaltland for the reason of "This, is, SPARTA!". 03/26 09:34 pm - Marberman removed Heinrich Kaiser from the alliance Guardians of Phoenix. 03/23 06:46 pm - The Polish Empire changed their Color Trade Bloc from Gray to Purple. 03/20 02:34 pm - The Polish Empire was embargoed by Polish Empire. 03/18 09:50 pm - The Polish Empire applied to join the alliance Guardians of Phoenix. 03/18 09:47 pm - Vize pro removed Heinrich kaiser from the alliance Guardians of Phoenix. 03/16 01:05 am - The Polish Empire applied to join the alliance Guardians of Phoenix. 03/16 01:05 am - The Polish Empire left the alliance Afrika Korps. 03/14 02:19 pm - The Polish Empire had war declared by ShadowClaw Kingdom for the reason of "This is for couping the alliance I built and you tore down!". 03/13 09:53 pm - The Polish Empire applied to join the alliance Afrika Korps. 03/13 09:53 pm - The Polish Empire left the alliance Coup clux clan. 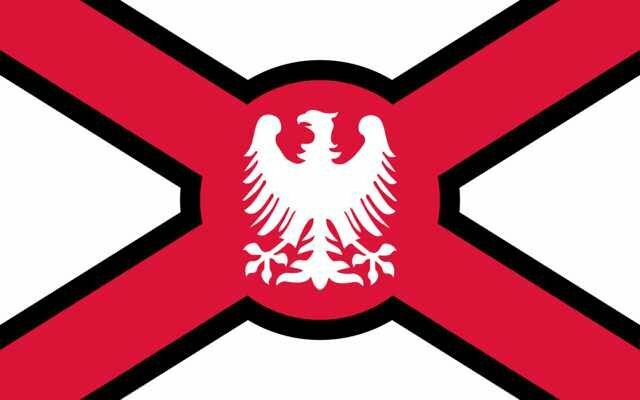 03/13 09:50 pm - The Polish Empire created the alliance Coup clux clan. 03/13 09:11 pm - The Polish Empire declared war on United Nation for the reason of "I couldn't come up with anything better than the default". 03/13 09:11 pm - The Polish Empire left the alliance North Atlantic Empire. 03/12 11:56 pm - The Polish Empire had war declared by Swedgeland for the reason of "you have too much infra".